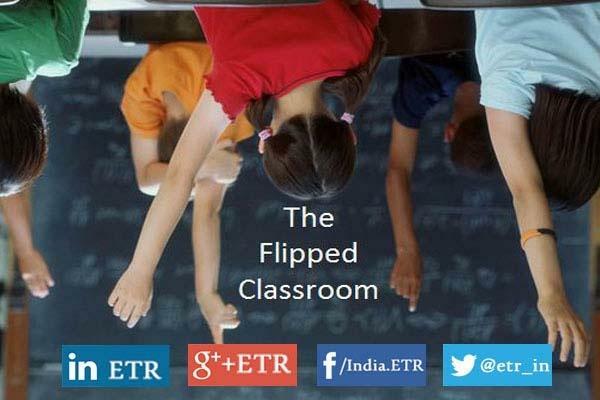 Flipped Classroom has become a buzzword today, and is a technological approach that is adopted by most of the educators who are familiar with the use and the many benefits of EdTech. class time in which teachers can create engaging learning experiences for the students. For the flipped model to have the biggest impact possible, it’s essential for teachers to put careful thought into how they spend the class time. The activities that take place after the learning has been flipped should link deeply with the content of the videos, audio, etc., that the students have watched before class – and success in these classroom activities should build upon, and reinforce the learning that students have done at home. Project-based learning: This type of learning is most powerful when students have played a part in defining the projects themselves. In Economics, students could work together to create a startup business that’s underpinned by a series of business concepts explained weekly in a teacher-created video. And in Science, students could devise and carry out their own experiments to test a concept that was explained in a flipped video. Set students on an engaging learning journey and they’ll support each other, uncover and develop new skills, and have complete ownership over what they create and learn. Collaborative group projects: In the real world of work, collaboration is becoming an increasingly important and desirable skill. It is important that the classroom reflects this, and that students are given regular opportunities to work together to solve problems and share their learning. Practical tasks: Teachers should aim to create engaging practical experiences that deepen their students’ knowledge after watching the flipped videos. By giving students a choice from a selection of activities, rotating students around different activities, or even having students design their own practical activities, teachers can create and facilitate deeply engaging learning experiences. Student-created content: By creating their own content that demonstrates their learning, students can do just that. Give students a choice over the medium (whether it’s a video, podcast, poster or else), and they’ll usually come back with great content that reinforces their learning. Where this is done as a group, peer teaching will often take place, with different students within a group helping each other to understand the necessary concepts as they work together to create the content. These videos and podcasts could then be used as part of a flipped approach with other students, fostering a real sense of pride in helping others to learn. Personalized Learning: Not every student learns in the same way and with the flipped model of learning, it’s possible for teachers to create personalized learning experiences that take into account students’ unique needs, abilities and interests. Flipped learning is all about breaking free from the one-size-fits-all approach that’s always dominated our classrooms and as a teacher, you know your students best, so don’t be afraid to mix and match different approaches to suit their individual needs. Looking around a flipped classroom, you may well see some students working in groups on practical projects, some students writing a paper, and some students creating their own videos - an exciting, engaging classroom that’s alive with learning. Reflecting on Learning: Reflective learners are the most effective learners. Give students regular opportunities to reflect on their learning and understanding of concepts. This should be supported by plenty of effective teacher questioning, and learning discussions between both teacher and student and students themselves. It can be useful to have students keep their own reflective diaries or blogs and at the end of each class, they could update them to show what they’ve learned or need to focus on during the next class or make a note of any questions or observations they have when watching the flipped videos. Teacher Circulation: Because the flipped model of learning frees up the time of the teacher during class, any activities should be supported by copious amounts of teacher circulation and input. I’d infer that if you’re following the flipped approach, your classroom will most likely look a little different than it did before. Because the students have watched the video content at home, class time can now be spent applying that knowledge in engaging, practical, collaborative ways. The teacher is freed up to craft personalized learning experiences for students according to their needs, and to circulate the class helping students individually or in small groups. The flipped model is making class time more enjoyable, productive and engaging for students and teachers across the world. Please share your views, knowledge and comments on the context with us through the Comment Box.